Sometimes we find ourselves going through life waiting for the perfect opportunity to find us, hoping for our big break, praying for something to happen in our lives to elevate us to the next level. 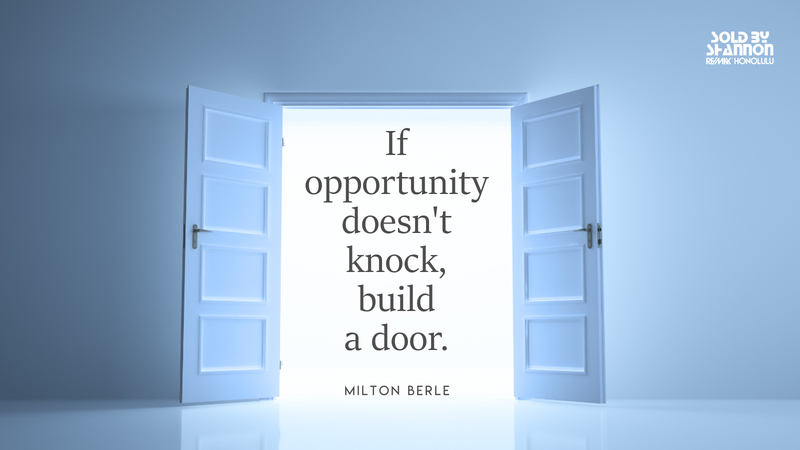 Why wait for a door to open when you can build the door and open it yourself. Milton Berle was an American comedian and actor. Berle’s career as an entertainer spanned over 80 years, first in silent films and on stage as a child actor, then in radio, movies, and television. As the host of NBC’s Texaco Star Theater (1948–55), he was the first major American television star and was known to millions of viewers as “Uncle Miltie” and “Mr. Television” during TV’s golden age. Milton Berle was born into a Jewish family in a five-story walkup at 68 W. 118th Street in the Harlem neighborhood of Manhattan. His given name was Mendel Berlinger. He chose Milton Berle as his professional name when he was 16. His father, Moses Berlinger (1873–1938), was a paint and varnish salesman. His mother, Sarah (Sadie) Glantz Berlinger (1877–1954), changed her name to Sandra Berle when Milton became famous. You can lead a man to Congress, but you can’t make him think. We owe a lot to Thomas Edison – if it wasn’t for him, we’d be watching television by candlelight. Experience is what you have after you’ve forgotten her name.